A beautiful young huntress dressed in a tunic, releasing her bow with intent. Signed to the base by Pierre Le Faguays and complete with the Susse Freres editeur seal. Original Josef Lorenzl 'The Hoop Dancer' Signed. 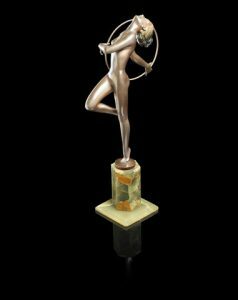 This magnificent piece by Josef Lorenzl ‘The Hoop Dancer’ is an original Art Deco Silver Patinated bronze figure on faceted onyx base circa 1925. 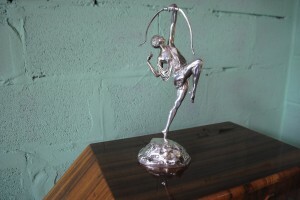 The naked Lady is poised upon one leg with her head reclining as she dances with the hoop. A stunning piece with lovely original and subtle tones of green to her hair. It is signed Lorenzl and is in stunning original condition. 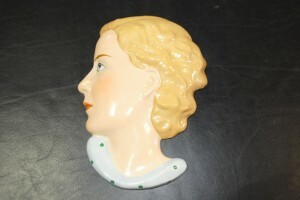 Standing a impressive 21 3/4″ tall ,this is a rare and beautiful piece. 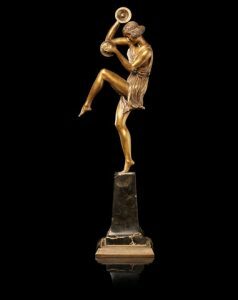 An original Pierre Le Faguays Art Deco Bronze of a ‘Dancer with Cymbals’ poised on one leg off a marble base. Great detail and movement.In great original condition. This fantastic piece is signed ‘Le Faguays’ to the base. For more details please call 01257 473688. This very special piece is full of class and detail. 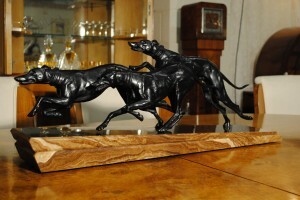 Beautifully detailed greyhounds with lovely movement. Mounted on highly polished slate base faced with polished marble.